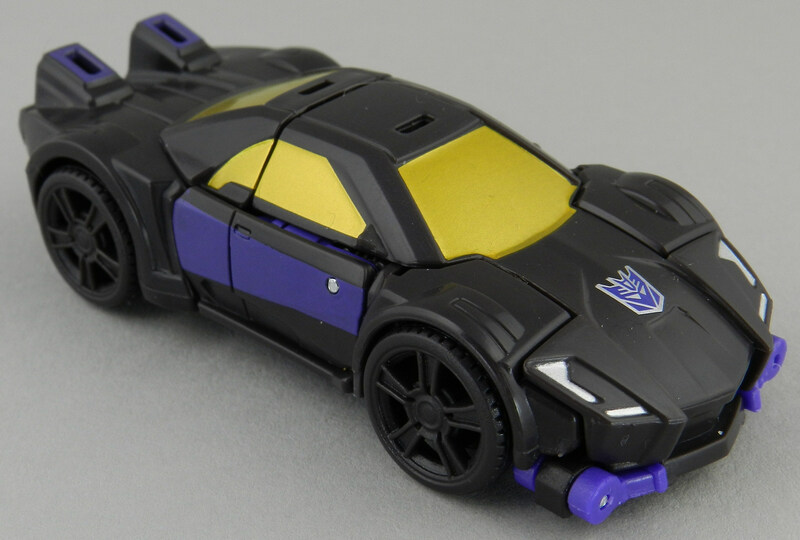 We’re back with another gallery of the Combiner Wars Stunticons, and this time, we’re looking at the smallest member of the group, Blackjack! 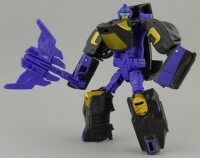 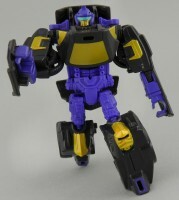 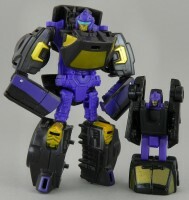 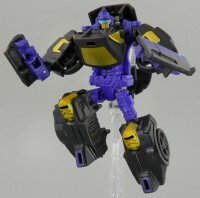 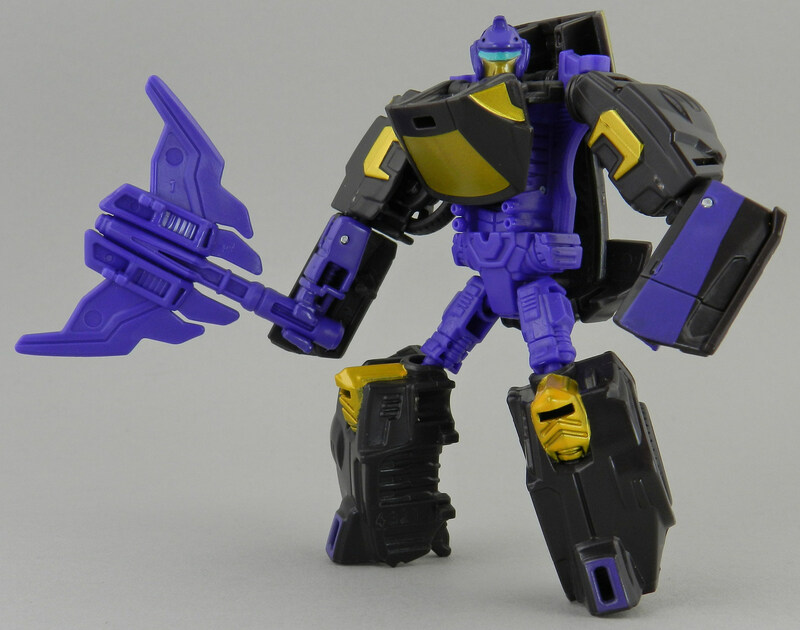 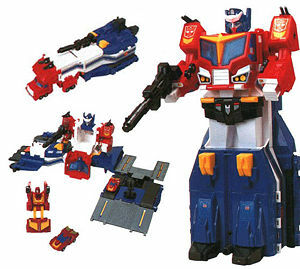 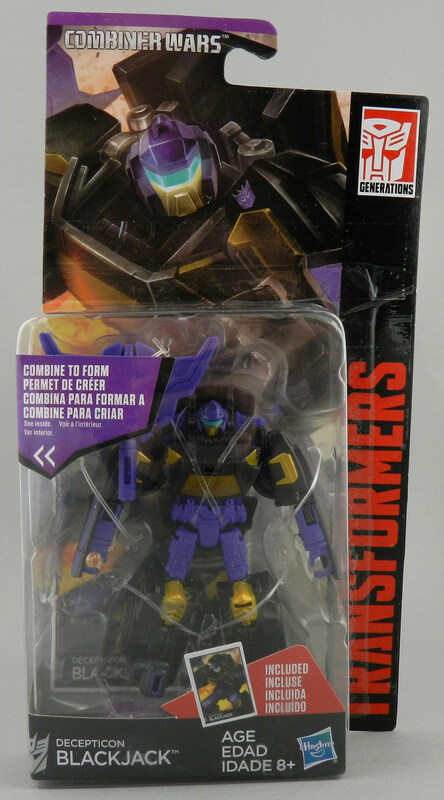 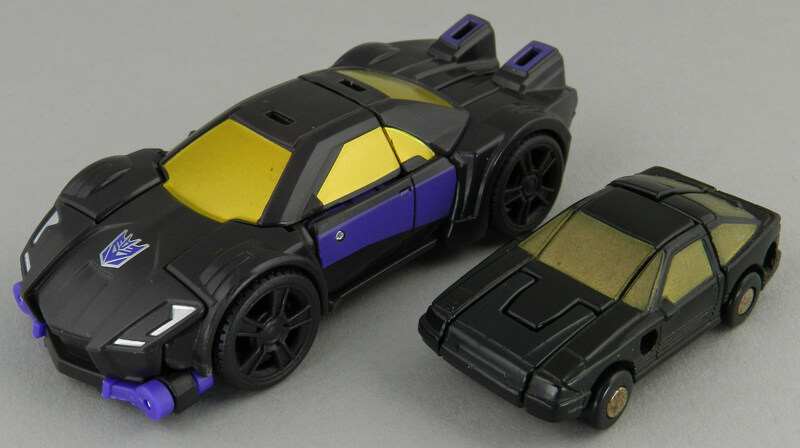 Blackjack is a double homage – he’s named for and based on a Generation 1 Micromaster, but in his role as the chest of Menasor, he also references the black drone car that came with the original Motormaster. Blackjack is a cool little toy. 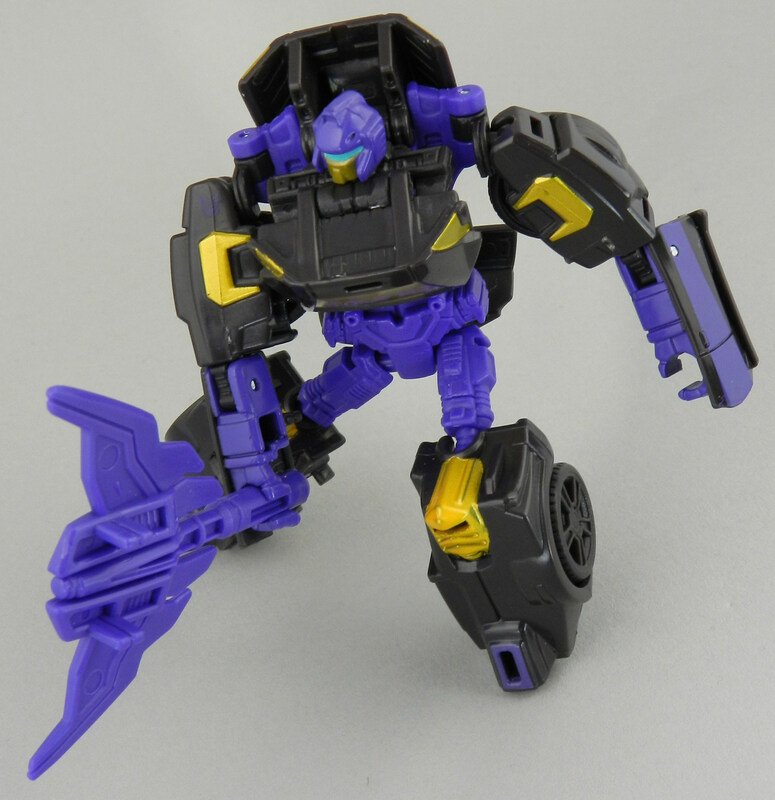 He’s got a decent amount of articulation, including a neck and ball-jointed knees, which we do not see often in the smaller toys. 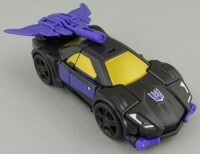 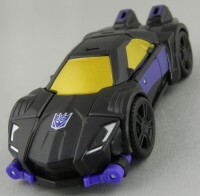 The transformation is decent, though nothing particularly outstanding or new, and keeping with the melee theme of the Stunticons, Blackjack comes with an axe which can be mounted on the rear of the vehicle to provide a spoiler. 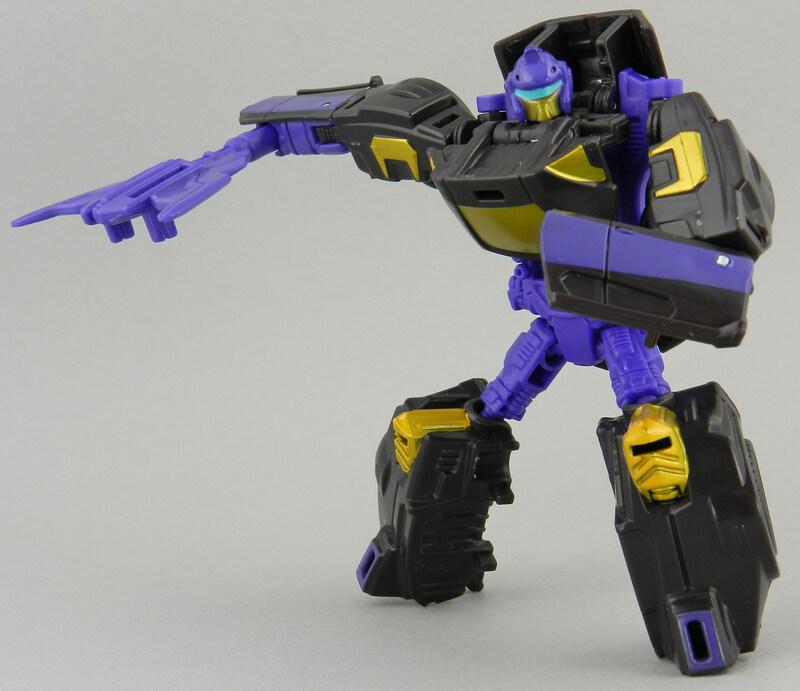 Try this…worked very well for me. This guy Matt Booker has the best fan mode transformation for Blackjack as a chest plate for Menasor that I have come across. 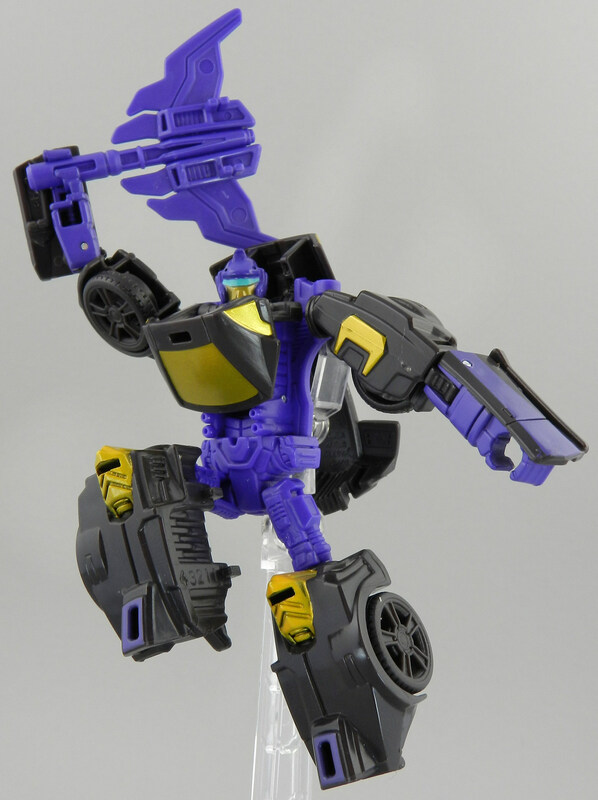 Vastly superior to the original method and locks in Blackjack securely. Check it out…hopefully it helps.